Biographical information must be presented to the Election Committee of the National Board of Episcopal Church Women. This information shall be published and distributed by the Board. Any other material not approved by the committee shall be reported to the President of the Board or the head of the Election Committee and removed. Campaigning will not be permitted. Jackie Meeks of the Diocese of Fort Worth is nominated for the office of President by The Rev. Fran Wheeler, ECW President, Province VII. 1. Why are you interested in serving on the National Board of Episcopal Church Women? As a cradle Episcopalian, I have been attending ECW since I was a girl with my mother. I have seen the power of the ECW in the past and I know that currently we still have the ability to make change in the world we live in and worship in across all the provinces of the National Church. We are at a crossroads in our history in many ways and I believe I have the skills, talent, and passion to move the organization forward over the next three years. I save been a member of the Social Justice, Worship, Finance, and Communications Committee of the previous boards and have a good grasp of how these committees function and their roles. I joined the board when our Province VII rep died unexpectedly a few months before the Salt Lake City Triennial. I completed her term and then continued as the NECW Province Rep in 2015. Just as I was a bridge between terms then, I believe I am a bridge for the organization to move forward. 2. What specific talents and skills would you bring to the job you seek on the National Board of Episcopal Church Women? Academically, I my education as a public health professional (MPH and DrPH) as well as a business degree (MBA) will be important as we manage our voice in the world and our finances to support the endeavors selected by the board. We have specifically been called to answer the challenge, “Go!” As we move forward we will encounter many social determinants of well-being that will need to be addressed: poverty, racism, sexism, ageism, poor health, lack or education, lack of opportunity. Addressing those social determinants is part of my training. Professionally, I have had the privilege of living in many states in the US. I believe that travel and immersion in different cultures brings an openness to others that is necessary to lead well. I have been in positions of leadership in my career and within my church and diocese. A very specific recent example of leadership training, is the completion of the Executive Adaptive Leadership program at Texas Christian University this past year. 3. What do you consider your most important church and community-related activities? My church, Saint Simon of Cyrene, was one of the congregations that split in Fort Worth. I considered it my responsibility to make sure that we were able to continue to worship, fellowship, and remain in contact with others in the diocese who stayed with the National Church. After meeting in my home, we eventually merged with another church that had not been divided. Nurturing the Saint Simon congregation, having a positive attitude regarding the merger, and finding my role in the new congregation was very important in moving not only myself but my congregation forward at a very important time. I consider my current responsibilities as flower guild chair, Province VII NECW rep, and “volunteer of all trades” my most important roles. Over the past 10 years, I have volunteered monthly at the Presbyterian Night Shelter to cook and serve dinner one night a month—first as an individual from Saint Simon and then from St. Christopher. That blossomed into a team of church members picking up a second night of cooking and serving. Others who are not members of the church heard of it and joined on my night to serve as well. Truly a community of God’s people serving Him—Episcopal, non-Episcopal, Black, White, male and female—because of this community activity. A final activity I value, and that I do as a way to recognize those who pass in my church, is the floral arrangement for funerals. Like many Episcopal churches, my congregation is aging. For a two-month period this past year, there was a funeral almost every week. I consider it a personal duty and honor to make those arrangements special and hopefully at the same time to bring comfort, some measure of joy, and peace to the family. 4. What Triennial Meetings have you attended as a certified delegate or alternate? I attended the Indianapolis and the Salt Lake City Triennial Meetings. Karen Patterson of the Diocese of Southwest Florida is nominated for the office of President by The Rt. Rev. Dabney Smith, Diocesan Bishop of the Diocese of Southwest Florida. I believe that there continues to be a place in the Church for Episcopal Church Women and a reason for the National Board to represent and advocate for them. There is much work to be done and much advocacy needed in today’s society, both within the church and the secular community in general. The National Board should represent all women in the church and be representative of the woman in the pew. New ideas should be brought forth, discussed and distributed, while still continuing our support of scholarships, grants and representation at gatherings and meetings about women and their needs in today’s society. Our aging population, particularly among women, gives an impetus for our advocacy on their behalf. All women should feel a part of the church and Episcopal Church Women or at least this should be one of our goals. The specific talents and skills that I would bring to the job as President would be in organization and leadership. My resume reflects my use of those talents and skills in many different types of organizations, both in the church and without. I bring an open mind to look at the problems being addressed, how to include people from all walks and positions in the process of determining what to do, how to do it and when. I have skills not only in organization and leadership but as a trainer, consultant, facilitator, team worker and idea person. I am methodical, punctual and a negotiator. I believe that I am a good communicator, not afraid of change, a careful listener and a believer in the work that women of the church have been called to do. (a) Church: My service in the church has been at the local, diocesan, provincial and national level for many years, and in many different formats, but I think that the most joy that I have received is in being Chair of the diocesan ECW’s scholarship fund that was set up many years ago in order to provide financial assistance to women in our diocese, particularly to those women who are returning to the work force following death or divorce. (b) Community: My profession in the community reflects my beliefs in the church – as an advocate for those that are disadvantaged by age, health or mental infirmity. My clients are old and young; some speak English, some do not; some were born in this country, some were not; but they all have one thing in common – the need for someone to advocate for them and see that they receive the care and consideration they need so that they can live as useful of a life as they can with dignity. Patricia Wellnitz of the Diocese of Nebraska is nominated for the office of First Vice-President by Sandra Squires, President, United Thank Offering Board and Immediate Past President, Province VI ECW. As a cradle Episcopalian, I know how important ECW has been in my church. I have been an active ECW member since my early twenties, served on our Diocesan ECW board and on the NECW board. I believe that the NECW board can help lead women of our church to go out into the world and make a change for the better by being a source of information through programs and the sharing of information. Until my recent retirement I was the lab manager for a Critical Care Hospital; as such my job was to supervise all daily work in the lab, ordering all supplies, billing and keeping up to date with federal regulations for lab and patient safety. In the past three years as secretary for the NECW board I have been responsible for finding lodging and organizing the travel for all of our board meetings. I believe that my organizational skills would be put to good use in organizing the 2021 Triennial. I am a member of a very small rural church and as such my most important church activities are helping with everything. I am a lay reader, lector, altar build member, in charge of church bulletins, help clean the church, and anything else I am asked to do. I serve as a Spirited Citizen member on the Panhandle Public Health District Board. Our mission is to preserve, promote, and improve the public health of the people served by our district. A few of our programs are diabetes prevention, emergency preparedness, radon awareness, and working toward a tobacco-free Nebraska. I attended as a delegate the meetings in Minneapolis, MN and Columbus, OH. I also attended the meeting in Salt Lake City, UT as an alternate. Samar Fay of the Diocese of Colorado is nominated for the office of Secretary by Elizabeth Agar, Co-Convener of Women's Ministries of the Diocese of Nebraska. I came to know the ECW quite late. My husband was a career Army officer, an orthopaedic surgeon, and the various posts we were assigned to rarely had an Episcopal chaplain, never mind ECW. When he retired to private practice in 1990, we moved to Montana, which has no active ECW. He attended training in the diocese, was ordained in 2000, and earned his D.Min. from Sewanee in 2010. We relocated to Colorado, where we have family and the snow is not quite so deep, in 2013. I attended a women's conference at the diocesan camp, Cathedral Ridge, and chanced to meet some very interesting women, many of whom were as questioning about the certainties of religion as I was (and am). Then I attended the 2014 Province VI annual meeting in Denver and agreed to be the secretary. For reasons that are not clear to me, the Colorado ECW precipitously dissolved. I think the organization could be revived, and perhaps my holding a national office could help. There is a bit of a turning point here, since the bishop of Colorado, Robert O'Neill, is retiring this year. Regardless of Colorado's future, the future of the ECW is important as women learn to use their voice in the church and in the community. I would be honored to be a part of this work. I was a reporter, photographer, and the editor of the Glasgow Courier, the county newspaper of Valley County, Montana, for 15 years. During that time, the Courier won the Best Newspaper category in the state Better Newspaper contest. I have experience in reporting interviews, meetings and events. I have taken photos of the annual Province VI events for publication, and at the 2015 Triennial in Salt Lake City. My computer skills are best in word processing and Photoshop. As the wife of the rector at Ascension Episcopal Church, I take on many duties that are taken for granted by the congregation (potluck dishes, cleanup at the pancake supper, water the poinsettias, cull worn-out altar linens, proof-read the Sunday bulletin, take family photos for the parish roster booklet.) I am a member of the Altar Guild and the choir. The very passionate United Thank Offering person recently bowed out and delegated the job to me. Luckily, we have a stout group of people who have been supporting every activity for years. I have attended Province VI annual meetings since 2014, enjoying and benefitting from the fine programs they have offered. Salida is a fascinating, active mountain town loaded with events in every season of the year. I sing in the community chorus, am active in the Central Colorado Conservancy, act and stage manage in the community theater, and ride in the local fox hunt (we never catch any foxes). I attended the 2012 General Convention in Indianapolis with my husband as deputies from the Diocese of Montana. In 2015, I was a UTO delegate to the Triennial Meeting in Salt Lake City. 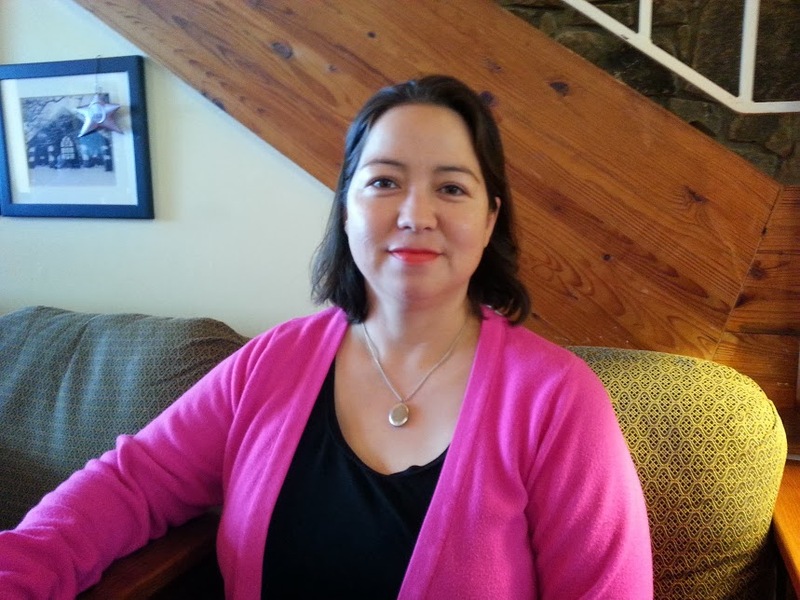 Michelle Kuruma of the Diocese of Los Angeles is nominated for the office of Member-at-Large, Multimedia by Canon Martha K. Estes, Diocesan ECW President, Diocese of Los Angeles. I appreciate the work of the National ECW organization that has accomplished historic and current work to further women and their potential that is relevant. I served on the ad-hoc committee for the new vision of ECW in 2014-2015 and thoroughly enjoyed the experience and gained insight as well. in addition, technology is an area that I feel needs to continue to be relevant for the ECW. the growth of the ECW was placed in the forefront and the tasks needed to grow ECW began. I can work on the communication aspects of the National ECW updating the social media and related programs so the whole of ECW is informed electronically with the most current information possible. I have been active with the Episcopal Church for over 25 years in many different aspects--primarily organizational roles (leading conferences and planning of curriculum). The merge of technology and many years working in collaboration with the church (ECW, Episcopal Women’s Ministry) is a unique skillset. The ability to synthesize large volumes of information to usable bites is essential, an area I feel is part of my talents. The NECW ad-hoc committee work which was incredible and useful to add community and unity to the ECW. In addition, the local Diocese of Los Angeles met with a group called “The Community” and the Japanese Convocation participated in the consecration of our new bishop of Los Angeles. The most important work is supporting existing programs and helping them grow into the new century, as I have seen the education for ministry program do. None to date: I have however completed preparation work towards Triennial meetings for the past 5 meetings in the past 20 years. Laura Orcutt of the Diocese of Utah is nominated for the office of Member-at-Large, Multimedia by Evita Krislock, President, Province VIII ECW. I believe I have been developing as an Episcopal Church Woman since attending my first Triennial in Anaheim, CA in 2009 as a delegate for The Diocese of Utah. I fell in love with the organization and what it has to offer women. It was quite the educational experience. Since then, I have prepared our diocesan delegates for Triennial and provided host support during the 2015 Triennial, which was held in my diocese in Salt Lake City. I have attended Province VIII retreats as well, growing and connecting with the women in ECW. I believe I bring my gifts of working well with others, knowledge of technology, and desire to provide good to women across The Episcopal Church to the National Board of Episcopal Church Women. I enjoy technology, as I believe it enhances our lives, especially in terms of communication. I was the founder of a small software company that developed applications in the cloud five years ago. I also went back to school to learn how to code, earning my associates degree in spring 2017. I will hopefully finish my bachelors’ spring 2018 and a masters’ degree in data analytics by Sep 2018. Technology can be used to solve so many issues. I believe I would be able to use our electronic communication for the emails for the e-communique, as well as the electronic issue of The Communique, to inform the women in The Episcopal Church about the important events, concerns, programs, and spiritual matters. I have hosted Facebook pages for The Church Periodical Club, The Diocese of Utah ECW, and my parish, St James, ECW. At the 2012 Triennial, I assisted in the publishing of the Triennial magazine during Triennial as a writer. I think educating our youth in our Christian faith and traditions is very important to carry forth to the next generation. I have lead Children’s Chapel for almost ten years, where we distill down and try to make what we do in the regular church service relatable to them. We still sing hymns, have lessons, say prayers, and say the peace, but in a way that is understandable to them as to why we do it. One of our first chapel attendees now teaches chapel. I have recently become a lay reader for the early 8 am service, as well as serve. I find it an honor to stand at the Lord’s table and especially to read the lessons and psalms. I love being able to say the words that convey our faith and belief in Christ during the service. Additionally, I was instrumental in enhancing our Food Bank, the only food bank open on Sundays in the state of Utah, by putting together a United Thank Offering (UTO) grant request for refrigeration and freezers so that we could provide fresh meat and produce to the patrons of the food bank. The grant enabled us to provide an incredible amount of refrigerator and freezer space to meet the growing demand of the number of patrons. I have attended one Triennial in 2009 in Anaheim, CA as a certified delegate. After that Triennial, we decided to put in a rule for our diocese to have new ECW delegates at each Triennial so that more opportunity is given to the women of our diocese. We wanted more women to experience what is offered at Triennial. As a result, I have attended the following two Triennials in a different capacity and put together the delegation teams each time. In the 2012 Triennial in Indianapolis, I assisted Communications in the publishing of the magazine at Triennial, as a writer. In the 2015 Triennial in Salt Lake City, I assisted in the hosting by organizing multiple teams to support the events. I developed a 20 person color guard for opening ceremonies, consisting of a Girl Scout troop, two Boy Scout troops, and one Cub Scout pack. Along with another woman in the diocese, we set up the 5K run for the fundraising event for the local charity, the Youth Resource Center in downtown Salt Lake City, raising over $27,000 total for the Youth Resource Center. I put forth the recommendation for Rev Mary Janda to be the chaplain for the 2015 Triennial, as well as three women who led workshops for the Triennial. I also assisted in support during the Triennial site surveys and visitations. Delores Alleyne of the Diocese of Connecticut is nominated for the office of Member-at-Large, Social Justice by The Rt. Rev. Ian T. Douglas, Ph.D, Bishop Diocesan, the Episcopal Church in Connecticut. By serving on the ECW board will afford me the opportunity to share my love of the Lord and to further the work of ECW with other women in the Anglican community. The ECW Board represents to me the modern-day Lydia’s doing God’s work. The Episcopal Church Woman has always been a part of my life and like GFS is an organization of service to others and doing God’s work. I try during my lifetime to live the living ministry of ECW. To listen to voices of women worldwide; to promote educational, spiritual, and social programs which minister to girls and women; to grow in relationship with God and others through spirituality, prayer, and worship; and to encourage the development of women’s leadership by example in stewardship, training, and education. I believe strongly that women play a very important role in the life of the Church. With the network of women, I have formed I can touch many with the ECW message(s). I firmly believe that ECW can reach out to young women by being creative with innovative ideas and also, become a diverse body doing God’s work. I’m confident that I could bring to the National Board of ECW my experience in a leadership role e.g. organizational skills, meeting deadlines, reports, trainer, and presentations. I have been successful in engaging individuals to become involved who otherwise would not. I have developed a large database of individuals that can be used in disseminating information. I have reached out to many groups and individuals. I am proficient in Microsoft Word and other technology including online conferencing and social media. I have produced and published many bulletins, newsletters, brochures. I am a creative thinker and always welcome and open to new ideas and challenges. I am also an advocate for change and an advocate against violence against girls and women by spearheading an Awareness Project that has been adopted by GFS /USA and GFS Worldwide (24 Countries). My faith has always made me believe that anything is possible with God being my guide. I also have the time to devote and energy to fulfill the position. I have always been taught that whatever you undertake to do, do it to the best of your ability or do not do it all. So this nomination to seek a position on the National ECW board has not been taken lightly. a) There are many but one that stands out is representing The Episcopal Church at the United Nations Commission on the Status of Women conferences at the United Nations. My experience as a delegate turned out to be a journey of self-awareness and the renewed passion for championing women's and children's rights. When I left New York at the end of 12 intense days of participation, I felt humbled and impatient. I was in awe, listening to the stories told by my global sisters of all ages about their heroic stands for gender equality, women's empowerment, and women and girls victimized in human trafficking. As Christians, I believe that all humanity is created in God’s image; that women and girls are created equal before God. Our scriptures, the way of Jesus Christ and our Baptismal Covenant call us to “seek and serve Christ in all persons”, regardless of gender. I pray that God uses me as a catalyst to encourage others to use their voices to become the voice of the voiceless within their organization, community and the greater Anglican Communion to foster a more just world in which girls and women have equal voices and opportunities. b) Serving as the GFS/USA National President gave me the opportunity to work with a large diverse group of women and girls with a multitude of skills, talents, and backgrounds. To learn from them and to watch them grow in their faith. It also widens my circle of friendships worldwide learning about different cultures and respecting their voices. c) Serving on the Elderly Commission which enables me to reach out to seniors in my community and listen to their stories and concerns and advocating for them to ensure that their needs were addressed and met. d) Organizing guilds, events in my church and community that addressed the needs of groups of people. Working in the food pantry, diaper bank and serving women and children in the Lunch Program has given me the honor of giving my time, talents and treasures to others. The Rev. Deacon Ema Rosero Nordalm of the Diocese of Massachusetts is nominated for the office of Member-at-Large, Social Justice by The Rt. Rev. Gayle E. Harris, Bishop Suffragan, Diocese of Massachusetts. I am interested in serving on the Board because I want to represent Episcopal Latinas, bring knowledge of who we are, the reasons that made us leave our homes willingly or by force, our stories of crossing borders, our struggles to survive in the cultures we encounter as immigrants and because we were born here, our luchas for rights and just treatment in the places we live, work and try to raise a family, and how we live and nurture ourselves centered in God. I’ve been and will continue to be an advocate for our need to advance in our leadership, to be recognized and elevated to positions of power in the institutions where decisions are taken or not on our behalf. I’ve been and will continue to be the voice for Latinas and an agent of change, creating in collaboration with other members of the Board the best ways to bring inclusion and diversity where changes can happen. I want young Latinas to get to know us and join us in our mission. I want to reach out to all our sisters regardless of race and culture, and to invite them to a reflection and a way to begin the sacred work of acknowledging the harm, repairing the damage, begin the healing that will allow reconciliation, recognizing who we are: beloved communities. I want to see us all reconciled and as members of the one body, the body of Christ joyfully celebrating our work united and in peace. God has blessed me with a heart that is full of love and compassion and that sees the light of Christ in each person I meet anywhere. My call to serve my beloved Latino communities is guided and inspired by the Holy Spirit. All that I create to present, the trainings I offer, the group and community organizing that I propose and carry out, I do it profoundly and fully trusting that each member of a community brings to the group wisdom and knowledge that I affirm and validate with the hope that we will establish a dialogue, reach a consensus and in the process become agents of change. Faith, Hope and Love is how I go about my work I consider sacred and blessed work. Faith, Hope and Love also guides my pastoral work and the work I have done around Racial Reconciliation and Justice for Latinas suffering the trauma of domestic violence, sexual harassment, and our history of racial discrimination and prejudice. I speak Spanish my native language, English and French. I have experience as a designer of curriculums for teaching leadership to communities of color, experience facilitating workshops and training trainers for programs to be facilitated by clergy and laity, experience designing and facilitating spiritual retreats and experience in diverse uses of the Spanish language and styles of writing necessary for translations and cultural adaptations from English to Spanish including skills in editing materials written in Spanish. My entire life has been dedicated to work educating diverse English speaking communities teaching them my language, culture and literature, and for the Latino Ministries of the Episcopal Church, doing what I love most: to invite, train, and mentor underrepresented communities to empower each other and their communities, and to lift their voices and offer their gifts and talents, joining groups and committees at their congregations, dioceses, and municipalities. My most important church and community-related activities revolve around my work with lay Latinas young and old offering them whatever they ask for to advance in their leadership skills, for their spiritual nurturing, their wholeness and wellbeing. As an ordained Episcopal deacon, I serve Latino communities with love and dedication. I serve as a bridge between the institution and the community bringing them together as servants in Christ’ s name. Presently, I am the first ordained Episcopal Deacon serving under the agreed covenant of full communion at a Lutheran Church, planting a Latino Ministry in East Boston. I have created Leadership programs, Spiritual retreats, and Safe Church and Race Reconciliation and Justice trainings for clergy and lay Latinos living in USA and Province IX. My delight and praise to God is to witness the work of guidance and inspiration of the Holy Spirit, and experiencing the profound, joyful, and transforming moments of response of Latino laity, when they are affirmed in each other’s wisdom and wholeness, and invited to work for others as a community of faith and in Christ’s name. I attended the 2012 Triennial Meetings as a delegate of the Diocese of Massachusetts ECW Board (dissolved in 2016).